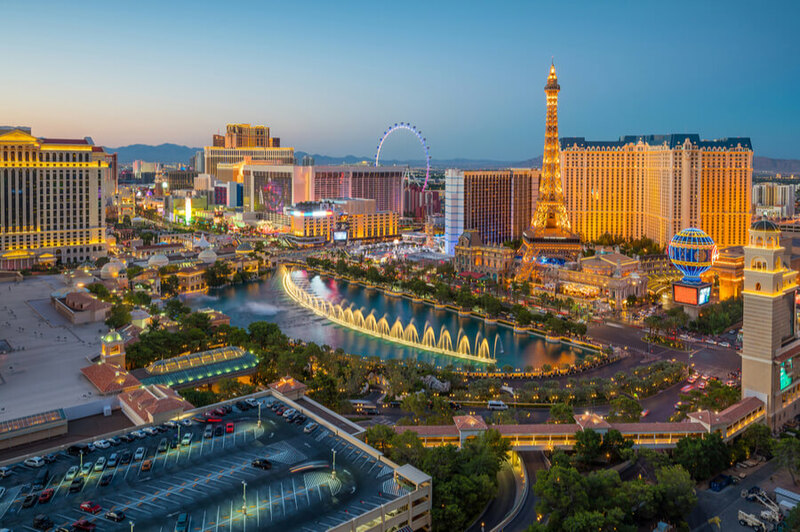 Desert Hope Treatment Center, located in the vibrant resort city of Las Vegas, Nevada, is a treatment center which provides comprehensive, personalized treatment for adult men and women dealing with substance addiction, and co-occurring mental health disorders. The residential treatment center boasts of an experienced staff including therapists and counselors. Research-based therapies such as Cognitive Behavioral Therapy (CBT) and Motivational Interviewing (MI) are incorporated into the facility’s curriculum and patients suffering from bulimia, bipolar disorders, depression, gambling, and anxiety will find the right treatment plan for their diseases. The treatment programs offered are also based on the 12-step principles. The facility also offers a special program for pregnant women dealing with substance abuse issues and leads them to long-lasting recovery by involving them in intensive therapy treatment. Upon admission, clients undergo proper psychological and medical evaluation to observe substance use history and addiction severity. This helps the clinical team design a safe and effective individualized treatment for each patient. Desert Hope offers its clients a wide range of treatment options and various levels of care some of which include a medically-monitored detoxification program, Residential Treatment (RT), Partial Hospitalization, and an Intensive Outpatient Program (IOP). An aftercare program for patients who might need encouragement and support after receiving treatment is also available. The treatment center is capable of accommodating up to 148 men and women, well furnished, and has a beautiful interior décor. Clients are received at the front lobby upon admission which features hardwood floors, a fireplace, and furniture. Residential rooms are semi-private (shared between two clients) and feature a bathroom, a bedside table, lamps, two beds, and dressers. The center has therapy rooms, an exterior lounge, an indoor gym, and volleyball and basketball courts. Food at the center is served thrice daily in a large dining hall and prepared by a professional chef. Client’s restrictions, dietary needs, and preferences are accommodated for and residents may serve themselves if they wish to do so. The menu may consist of ribs, chicken breast, and fajitas and clients are offered snacks throughout the day. The facility’s medical detoxification program lasts for about 5 days to a week and involves 24/7 medical supervision while the patient’s body adjusts to reducing levels of toxic substances. Client’s withdrawal symptoms are managed in a safe environment by a professional medical team. This program involves medical stabilization and constant medical supervision. Patients are treated for co-occurring behavioral health issues and are involved in group and individual therapy. In this program, patients are engaged in treatment for at least 5 days per week. Daily treatment takes at least 6 hours and clients are provided with various kinds of treatment to help them re-integrate into the community. Support groups and sober recreation are important aspects of this program. Participants of this program are less restricted than in the partial hospitalization program. Clients have the advantage of receiving treatment while living offsite. Treatments are attended thrice weekly. Desert Hope Treatment Center costs approximately $26,000 for a 30-day treatment at the facility. This amount is subject to change as it’s greatly dependent on the type of program a client is registered into. The treatment center is in-network with multiple insurance providers but is willing to work with out-of-network providers. However, Medicare and Medicaid are accepted, clients are advised to contact the facility for more information on coverage and benefits. Private pay options with an easy payment plan are also available to clients. Financial assistance and a sliding scale payment plan are also available to clients eligible for such. The facility is accredited by The Joint Commission, CARF (Commission on Accreditation of Rehabilitation Facilities), and also by The American Addiction Center. The facility offers massage services as a fun complimentary addiction to clients registered into a program and it occurs off-site. Personal training is included as well. Clients interested in extra massages or services such as acupuncture and acupressure will be required to pay additional charges as it is not included in the complimentary services offered. Clients, who have completed a primary program of 90 days and relapse after, get a complimentary one-month free treatment. The facility in its entirety provides quality services that match the amount required for treatments from its quality amenities to its high-end facilities. 12-step is an option as well and is offered if a client requires it or asks for it. Clients seeking treatment in a facility that is located in a serene environment which provides solitude and healing desert air will find Desert Hope to be a good option. James holds a Master’s degree from Immaculata University majoring Counseling Psychology and is board certified and licensed to practice Clinical Professional Counseling and Clinical Alcohol and Drug Counseling. He has been in the behavioral health field for over 12 years gaining a lot of experience in addiction treatment in all settings including residential, outpatient, detox, and more. He has held leadership positions in clinical settings for over 10 years now. Faisal went to the University of Nevada (Medicine where she completed her residency in psychiatry and is board certified to practice Psychiatry and Neurology. She also went to Duke University where she got certified to practice ECT (Electroconvulsive Therapy). Her specialization includes illness such as Depression, PTSD, Anxiety, ADHD, Schizophrenia, Bipolar Disorder, and many more.